Thomas A. Benton was born April 27, 1926 to Isaiah Thomas Benton and Bertha Green Benton in Higginsville MO. He was the oldest of six children. Preceding him in death were his parents, Isaiah and Bertha Benton, two sisters, Marie Turner and Barbara Ann Thomas, and one brother Clyde Benton. He was educated in the Higginsville Public Schools from elementary to tenth grade and graduated from high school in Okmulgee Ok. He was drafted into the army in June 1946 and did his basic training in Ft McClelland Alabama. Afterwards he was sent to Japan to carry out his military obligations and was released with an honorable discharge in May 1947. He was hired as a certified employee of the U.S. Postal Service in January 1949. During his career he worked for the U.S. Postal Service’s Railway Mail Transportation Service, and as a Distribution Clerk and General Foreman at the main Post Office. He retired as Tour Superintendent of the Bulk Mail Center in Kansas City Kansas in 1986. His postal career spanned over 37 years. He met the love of his life, Ethel Washington in 1949. They were married July 22, 1951 and spent 67 wonderful years together. To this union were born four children, Thomas (deceased), Sherri, Colette and Myra. He loved the Lord and loved people. He was a father, friend, mediator, peacemaker, counsellor, advocate and advisor to many. He never met a stranger and was a friend to everyone. He always had his trusty camera to capture the moment and recorded memories everywhere he went. He was a member of Gilbert Memorial A.M.E. church for over 55 years and was recently honored for his lifelong commitment and service. 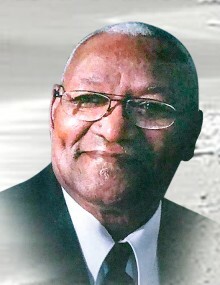 He served as Sunday School Superintendent, Trustee and on the finance committee. He also received numerous certificates and awards throughout his lifetime including the Thomas Brown Foundation’s Octogenarian award, which recognizes individuals between the ages of 80 and 89 for outstanding service in their community. He was a sports enthusiast and had many trophies for horse shoes, bowling, baseball and golf. Golf became his favorite sport in his latter years. He leaves to cherish his memory his loving wife Ethel, three daughters Sherri (David) Skannal, Colette Benton, Myra Benton, 8 grandchildren, 14 great grandchildren, 3 great-great grandchildren, one brother Travis Benton, one sister Bonnie Sue Champion, and a host of nieces, nephews, relatives and friends. Funeral Services will be held AT 12:00 p.m. on Saturday, February 9, 2019 at Christian Charity Church 11000 Ruskin Way KCMO. Private disposition.